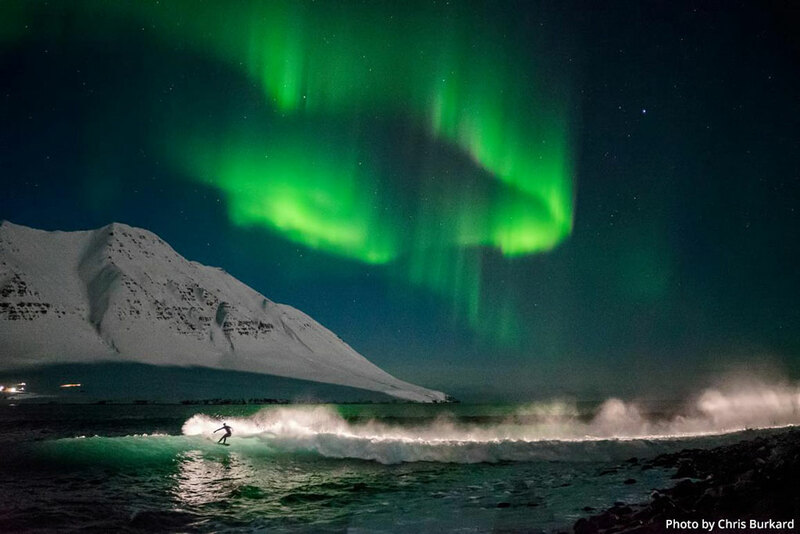 Adorama will host a June 8th New York City screening of the documentary film “Under an Arctic Sky,” which follows adventure photographer Chris Burkard and six surfers on the northern coast of Iceland. The film will have two seatings, 6:30 p.m. and 8:30 p.m., at the AMC Empire 25 Theater on W. 42nd Street. The film premiered at the Tribeca Film Festival in April. “Under an Arctic Sky” journeys with the surfers, Burkard and filmmaker Ben Weiland in the remote fjords of the Hornstrandir Nature Reserve in Iceland. The winter expedition faces huge challenges—and potentially huge waves—in the face of a historic storm, the largest to make landfall in 25 years. As an explorer and photographer, Burkard’s worldview is all about traveling the globe and capturing humankind’s relationship with the natural world while working to preserve those wild spaces. At the start of each screening, there will be a meet-and-greet with Burkard, who also served as executive producer and director of the film, accompanied by a 20-minute presentation with Chris and the crew. Tickets are $20 and are available for purchase here. Learn more about Chris Burkard here. You also can see some of Burkard’s work in the Outdoor Photographer profile from our sister publication.